This case was built for Michigan based sound company Pro Audio Inc. The case features a removable nose piece allowing access to the front of the console. The removable nose design also allowed us to integrate a slide out shelf under the console for a keyboard. 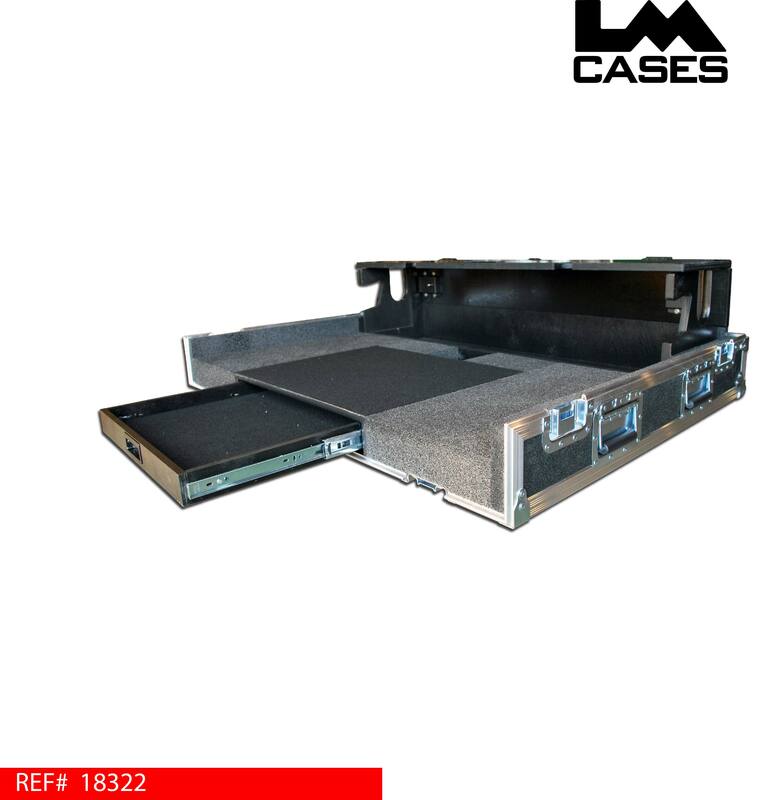 The design also incorporates storage areas for 2 flat panel monitors in the lid of the case. 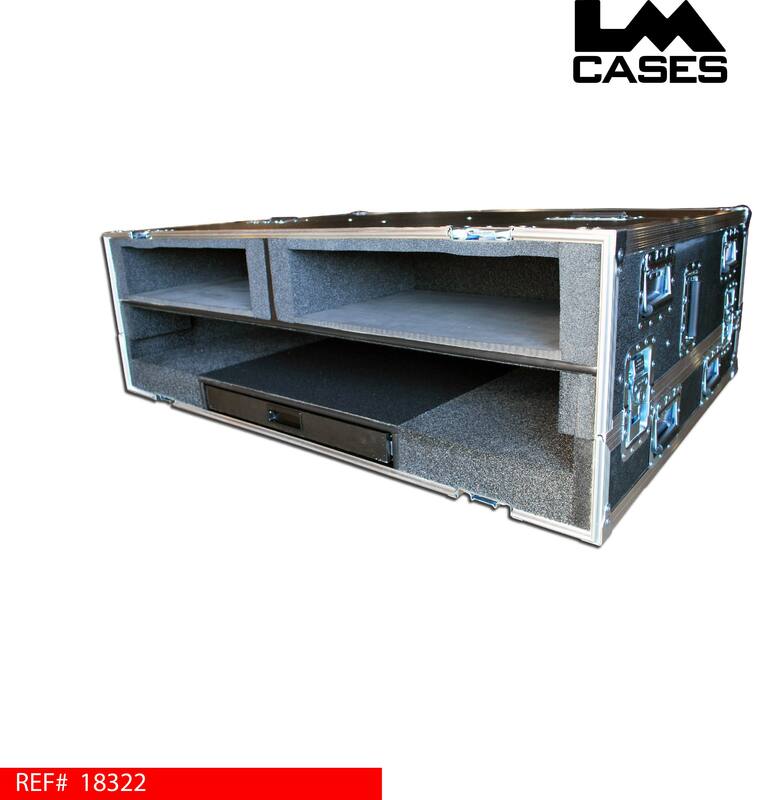 Each compartment is lined with Class A foam to prevent scratches to the screens of the displays. 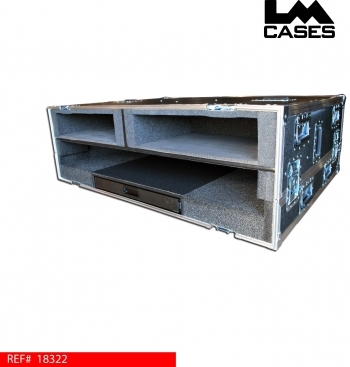 The case features a custom 3/4" birch doghouse that contours the back of the console. 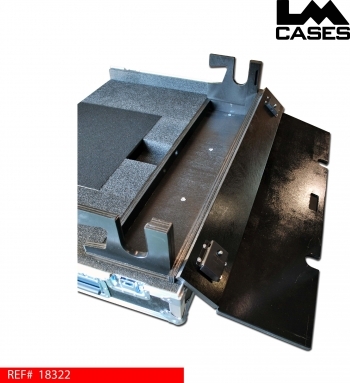 The doghouse also features a double hinged rear access door allowing the user to open the top lid for quick access, or fold the entire top and rear down when needed. 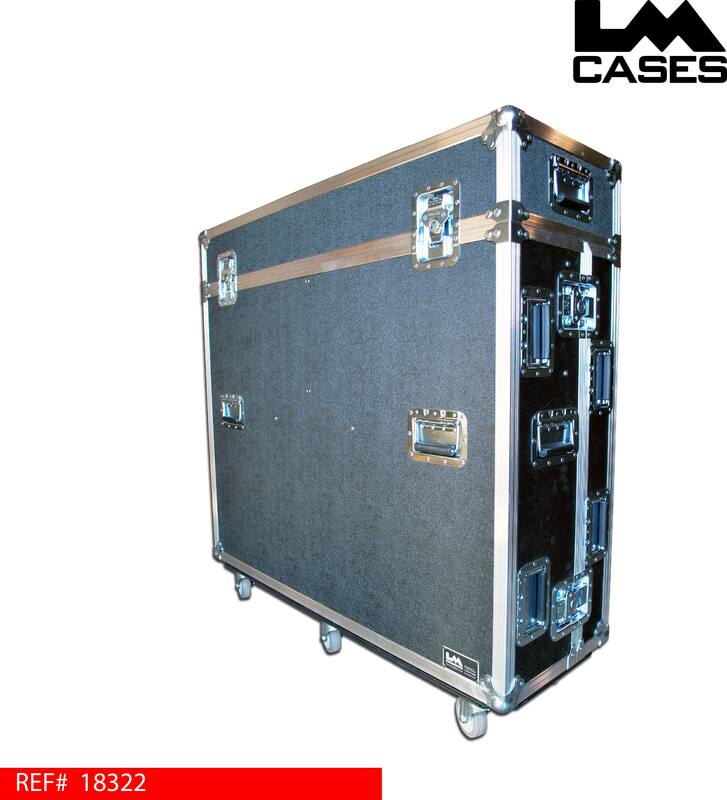 This case was built out of 3/8" plywood, and features 3.5" casters.